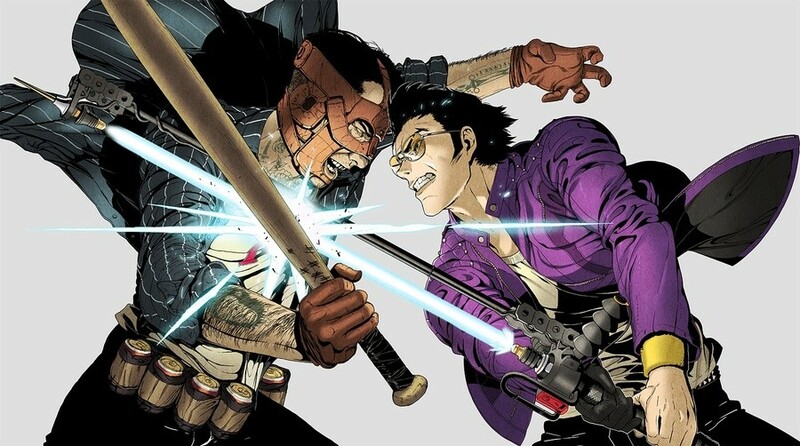 Travis Strikes Again: No More Heroes has only been out in the wild for a few months, but director Goichi 'Suda51' Suda already appears to have one eye on the future. In a recent interview with Gamereactor, the man behind the likes of No More Heroes and killer7 spoke about his feelings towards Switch as a console. We think it's pretty safe to say that he's a fan of Nintendo's latest creation, and he speaks of "doing more" with it in the future. "I feel the Switch is awesome. It's basically *the* game console, you know, you can load it up, you can play games right away, they're showing a lot of support for indie games, which is really great. They just announced Cuphead, there's a lot of cool games coming out on it and it's really fun to play and I'm really looking forward to doing more with the Switch." Elsewhere in the interview, Suda51 talks about how his studio, Grasshopper Manufacture, has returned to its roots with Travis Strikes Again, with a smaller team allowing him to "get into the finer details" of the game's creation. He says, "we're coming back to our roots as a sort of independent developer and I really feel that, right now, we have the best environment that we've had so far, and the best team that we've got so far, and things are going really great with Grasshopper." All going well, then, we can probably expect more Grasshopper Manufacture games on Switch in the future. But what would you like to see from the studio? No More Heroes 3? Let us know in the comments below. Hit the nail on the head about loading it up and playing games straight away.....it’s what I used to love about cartridges. Maybe they can tell us more about it on this rumoured NDirect? Just port over nmh 1+2, killer 7, shadow of the damned, and then release nmh 3. Surprise us at e3 with one of those above please. And Travis strikes again is awesome! He’s right, I can’t imagine booting up anything other than my Switch right now! My nephew got a PS4 and PSVR for Christmas, his Mum told me he played it for about two days then went back to his Switch... which he’d got the Christmas before. I read elsewhere that he'll be at E3 and is hoping to make an announcement. 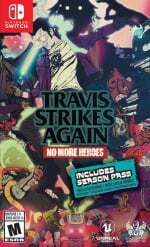 I hope we'll see No More Heroes 3 and a Travis Strikes Again sequel at some point on Switch. I think plenty of folks would like to see NMH3 on the Switch (maybe a port bundle of NMH1+2 as well? ), including me. TSA though ... not so much sadly. Even if it were as enjoyable a game as NMH in its own right, it's still part of what is imho an oversaturated genre on the Switch. We got plenty of good to great top-down action games already on the system. Also, how about Killer7 with LaboVR, Suda? @Ralek85 Hey, that can work! I'd love to play Killer 7 like that! I hope they do a Killer 7 remaster and a new NMH. @erv Hey, I liked that. It felt like playing a reverse Pac-Man. Not buying anything from this guy. Oh boy, All the random Indies and stuff like TSA:NMH is why I barely play with my Switch anymore. Give us a new NMH... make something amazing and memorable again. "They just announced Cuphead, there's a lot of cool games coming out on it and it's really fun to play"
I have my switch and haven’t played it since smash came out. My PS4 has had hits like division 2,apex legends, sekiro, resident evil 2, kingdom hearts and the upcoming days gone which I’m excited for. I loved TSA, I've sunk 50 hours in and I plan to play more before the next DLC release of Bad Girl (new level too!!!). I do want NMH3, or a re-release of the remastered NMH on PS3 but for Switch instead. That little teaser made me so pumped at the end of TSA. It's just a great time to be a gamer, and especially a Nintendo fan. I love that it's invigorating gamers and developers, and I'm happy Suda seems so happy. Long live the Switch. I have Days Gone and Rage 2 on deck, depending on reviews. My PC/PS have done just fine keeping me entertained in 2019. Glad to read this, I was kind of "scared" we'd get a "sales were lower than expected so no more No More Heroes for you". NMH main games are some of my favourite action games, especially the second one which was a HUGE leap forward. Still have my launch day copy of it (sold my launch day copy of the first to replace it with the PS3 version) and the imported Japanese collector's edition just because of how much I loved the game. @Agramonte You haven’t addressed how games that you don’t have an interest in directly influences how you don’t play your Switch. I promise you that PC and PS4 have far more games that don’t interest you than the Switch. After 5 years the PS4 is getting a few games worth owning the console. Not bad. @MrBlacky see when you spew out comments like that, it screams fanboy. @Agramonte Cuphead has been riding high in the Switch eShop on preorders alone since they opened, it’s gonna be massive on Switch. A third party physical release is currently number one in Japan, opening with higher sales than first party Yoshi did the week before. Surely given what you usually comment this news should please you? Wasn’t it just a day or two ago you were mocking the UK charts and only first party Nintendo titles selling? @Anri02 And when those games come out on PC or PS4 they do not get much use either. I was not playing random indies or old games on PC or PS4 when ZBOTW hit the Switch. Whatever hardware that gets compelling software to a user is what gets time. Every tech works this way. @Agramonte So then what’s the problem with those games being on there? From your first comment it sounded like you said you don’t play your Switch because those games are on there. Unless I misinterpreted it? @Anri02 Huh?... My original comment was that random small indies and mini game-esq like TSA:NMH is not a compelling reason for me to use my Switch. You can put that same Jan-April release schedule on PS4 and PC and they would not seen much usage from me either. yes, and it sold a million plus, got great reviews and won awards when it first came out in 2017. Why I do not understand how is it surprising when people read - "cool, but I played that already". That same excitement to play a "fun game", made me boot up my PC and play it. Lets get the schedule rolling with new 3rd party hits. @Anri02 That would be the underlying problem. If they dominate the release schedule for a particular piece of hardware - you end up at my comment. It effects the amount of time that hardware gets used. Seemed pretty logical to me. Suda should port all his games that weren't in Nintendo consoles. Sorry Suda, No more heroes just ain't all that. I beat the wii original and while its style and charactets are undeniably awesome-ish along with some of the boss battles once you've mastered the quirky controls, overall it was unpolished, ugly, rough around the edges and an absolute tedious low budget train wreck. i regret the time I wasted playing it and cruising around on that motetcycle in that fugly and ugly sand box styled city. STYLE over substance is the name of the game. Plus, I couldn't get into the sequel, not even the 8 bit jobs could win this folder over. 😕 and now I hear the latest NMH on switch is a disaster. Not surprised. Shadow of the damned seems pretty rad based on the time I spent with it but it was starting to get a little too tedious. @Rodan2000 Huh? Switch games still have long load times though. Rayman, South Park, Xenoverse 2 & Mutant Football League for instance have longer load times than on the competitions consoles. Those are just 4 off the top of my head. TSA was a turd. Suda wont get my money if he keeps releasing games like that. It was a waste of a rental. @Mgene15 Those games are all good but, I could basically say the same about the Switch. Fire Emblem, Marvel Ultimate Alliance 3, DaemonXMachina, Astral Chain, Zelda Link's Awakening Remake, Luigi's Mansion 3, Animal Crossing, Bayonetta 3, Metroid Prime 4 and rumored Trilogy. If you haven't played Xenoblade 2, Zelda or Mario Odyssey then you have 3 more gems to hit from the backlog. So where as the PS4 has good games out now and more coming down the pipeline, so does the Switch. @Prof_Yoshtonics I played those 3 that you mentioned in the switch’s first year. My point is there’s not a consistent stream of good games on switch like there is on ps4. Switch is indies for 8-9 months out of the year with good AAA games the other months. Ps4 has consistent AAA year in year out, every few months hits. @NullPointerExcep I personally want to know what "AAA" means. From what I've seen it equates to generic shooters with high end graphics, I work in the graphic industry so none of that crap excites me in the slightest. Give me a decent art style every day. To me "AAA" equals high graphic output combined with generic bang bang shooty nonsense with scowling white men which has been the safe card of big publishers for the last 15-20 years. Am I missing something? Is there a "AAA" game that doesn't involve killing something?